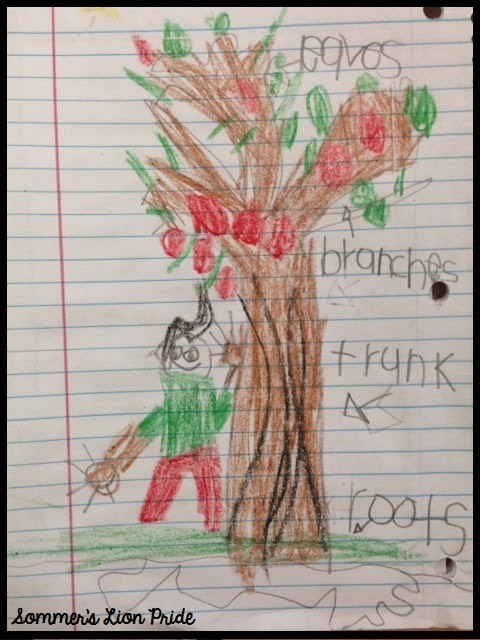 We have been learning all about trees this week! We started off by reading a book about oak trees. 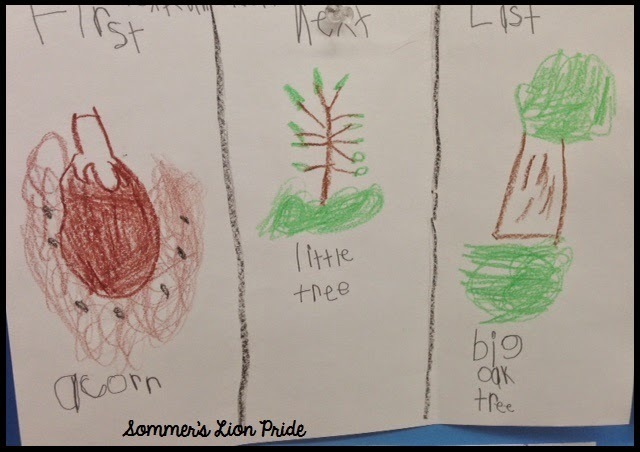 Then the lion cubs made a simple chart showing the life cycle of oak trees. 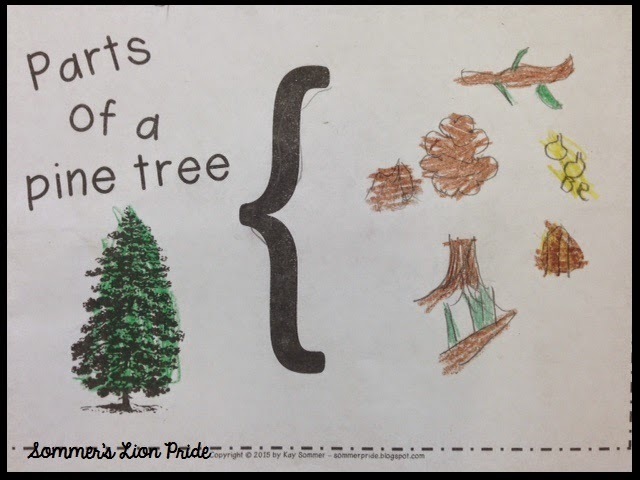 We learned about the parts of a tree and I created a pictorial input chart while teaching the students. Then they drew and labeled the parts of a tree in their science journals. 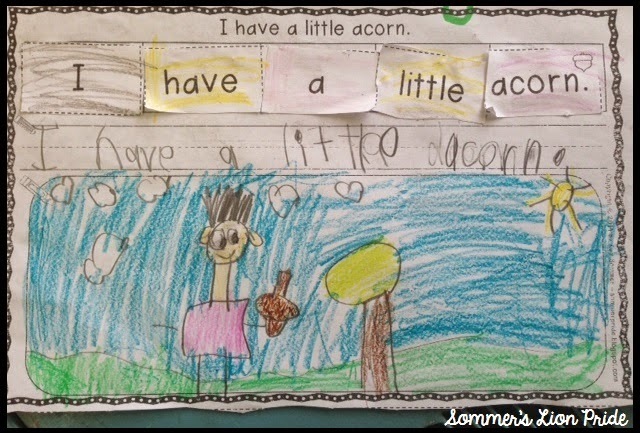 Next, we unscrambled a sentence about an acorn which included "little" which is one of the high frequency words that we learned this week. You can find my pack Unscramble This Sentence in my TpT store. We also learned about pine trees. I began by creating a Brace Map showing the parts of a pine tree. Then everyone filled in their own Brace Map. And the highlight was making these cute 3D trees from Robin Sellers (Christmas Tree Craft). We had fun making them and telling each other about the life cycle of pine trees.